Well. I certainly don’t mean that there isn’t a place, even with wonderful fresh food, for seasoning and sauce, or an occasional elaborate preparation. 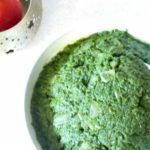 I love Indian food, to take a glorious, highly seasoned example. 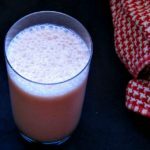 I revel in the way I can completely change a simple recipe by switching spices or herbs – for example, using pumpkin pie spice instead of curry powder in a squash soup, or dill instead of parsley in potato salad. 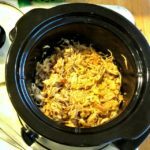 But sometimes we should just roast the meat, saute the vegetable, combine the foods to play off each other, and remember that even the humble navy bean actually does taste good. 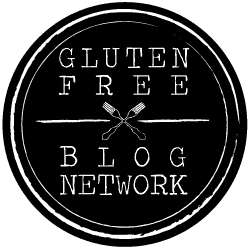 No, I would not want to eat a bowl of plain beans every day – but the foundation is solidly good. So – asparagus. I do have to note that the better and fresher the vegetable is, the better it will taste. For years, now, I have waited until the local asparagus comes in and is sold by the farmers at Greenmarket – because that is amazing… They cut it, put the cut ends in water to keep them from drying out, and we buy it and eat it the same day (or, well, sometimes the next – they do come into the city awfully early in the morning…) The stems aren’t woody, the flavor is amazing, and in general I find it is worth waiting for. 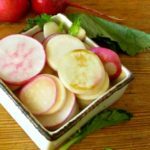 But the thing about being a food blogger in the Northeast US is that I get local “Spring Produce” in late May or even June – long after much of the rest of the country, and long after it reaches the supermarkets from Florida and California. And if you are eating asparagus now, you want recipes now – and who can blame you? 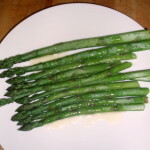 I can point you to my old posts, now that I’ve been writing for a while – in face, I specifically suggest you look at the first one, Asparagus with Lemon Butter Sauce, which includes not only a recipe for the sauce, but also detailed instructions for handling, trimming, and steaming asparagus. But meanwhile… at the supermarket, asparagus was on sale – and the ends were in water! They’re finally learning good handling! The stems were still a little woody – these spears certainly were not cut yesterday, or even this week – but it’s better than I’ve seen before… so I bought some, so I can show you another method of cooking. 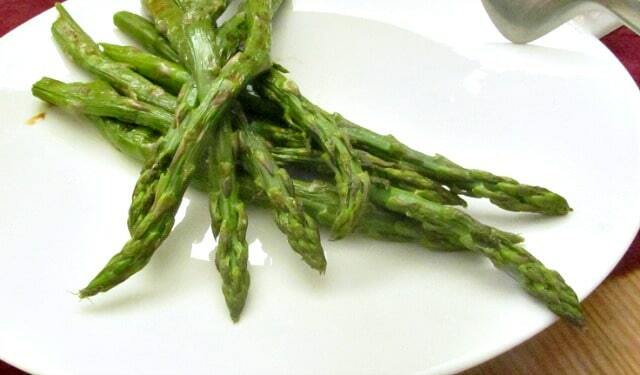 Honestly, steaming produces its best results with very fresh tender asparagus. Another classic method, in my old cookbooks, was to boil the spears upright in the bottom of a double boiler (or even a coffeepot!) so that you boil the (presumably tough) stems and steam the tender tips. I think we can do better than that… When I learned to saute asparagus, I found it worked well with less than fresh vegetables. But now, I like grilling, with a contact grill. Like sauteing, it holds all the flavor in the vegetable, rather than letting it seep out into water. Unlike sauteing, if I use a contact grill I am using a combination of direct heat and steaming. See, the top plate helps hold in the steam naturally released by the vegetable itself – which both speeds the process and helps tenderize the asparagus. You can use any contact grill – a Forman, a Cuisinart, a panini press for that matter… If you just have a grill pan, but have a weight you can put over it, that will work, too. (I’ve known people to use a cast iron pan as the weight!) So, again, it is lovely with really fresh asparagus – and markedly improves somewhat… less fresh. Then drizzle just a little oil over it – maybe half a teaspoon. 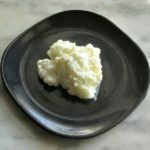 I used olive oil – if you like flavored oils (garlic, lemon, herb infused) this might be a place to use them. I just use my hands to roll the spears and cover them completely with a very thin film of the oil. You can skip it, if you really want to, but I find any vegetables cook more evenly on the grill when just lightly brushed with oil. You could also use butter, which will brown beautifully, but also can burn, so I prefer not to. Then heat your grill – if you can adjust heat, medium is fine. Once it is hot, lay out the spears on it, and close. Check it after 3-4 minutes, depending on size and freshness – I cooked these about five minutes. 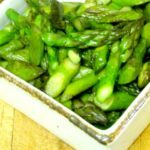 Grilled asparagus, with or without sauce or other seasoning - a simple and delicious method for cooking this lovely Springtime vegetable! Wash asparagus and trim the woody ends. Heat a contact grill - medium heat, if you can adjust it. 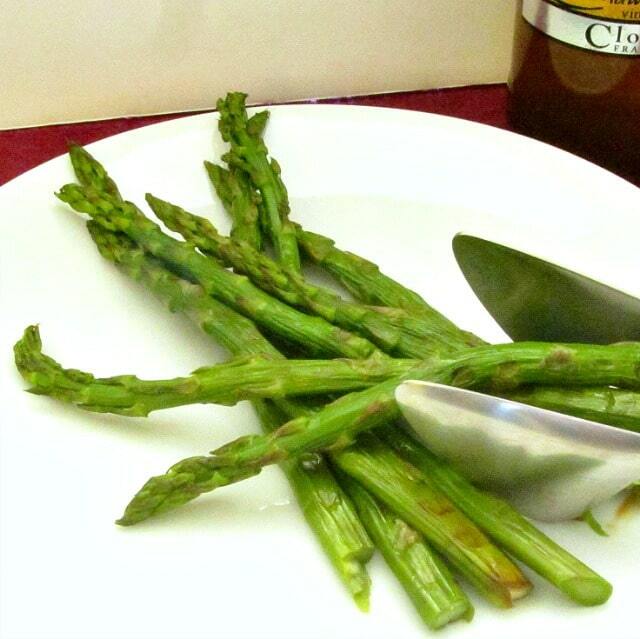 Drizzle the oil over the asparagus and toss to lightly coat all the vegetable with a very thin coating of oil. Place on the grill (you will probably need to do more than one batch.) Lower the cover, and cook around five minutes - check for tenderness after 3-4. You may need longer with larger or older spears. Wow I learned some new things about asparagus. Thanks for sharing your tips! 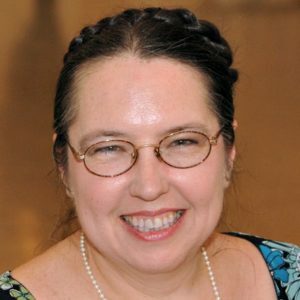 You're welcome - and thank you! Enjoy them! I find that what I get really varies... as does which is better on a given day. I haven't tried roasting them, yet - I don't really roast vegetables much in general, after years of and oven that overheated the whole house! Should really try that. 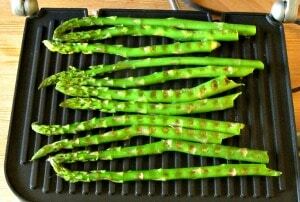 I deeply love asparagus and grilled, they sound even better! 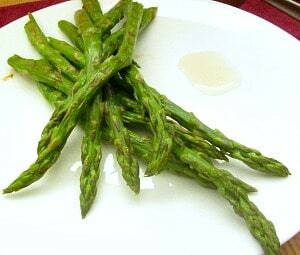 I love grilled asparagus, it just adds such a great flavor to it. 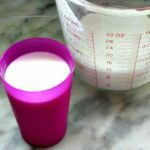 Thanks for sharing this easy recipe. Well, you're welcome - and thank you! Mmm. I agree -- sometimes simple is the best way. 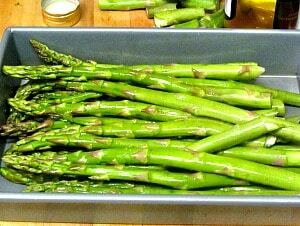 My favorite way to prepare asparagus is roasted with a small drizzle of olive oil and a sprinkling of salt and pepper. I really need to try that one, sometime, when I have the oven on anyway... It sounds delicious, for all the same reasons this is.